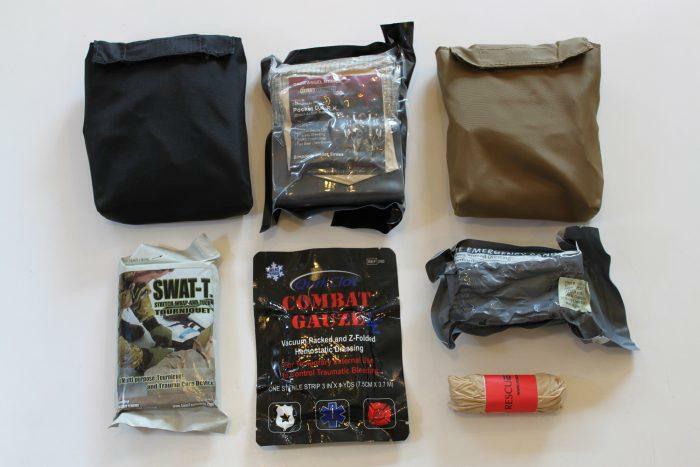 The “Pocket D.A.R.K.” is the bare essentials in a size so that will easily fit into a cargo pocket, purse, glove compartment, the back pocket of a pair of jeans or on up to a 2″ belt in a custom-made pouch with belt loop from FirstSpear… making it your “go to” kit for everyday use. We’ve also added a tourniquet band to the front of the pouch which will hold an additional CAT or SOFTT-W. Using Dark Angel Medical’s motto, “Simplicity Under Stress”, they created the “Pocket D.A.R.K.” and packaged the bare essentials into this kit. The size will easily fit into a cargo pocket, purse, glove compartment, the back pocket of a pair of jeans or on up to a 2″ belt in a custom-made pouch with belt loop from FirstSpear… making it your “go to” kit for everyday use. We’ve also added a tourniquet band to the front of the pouch which will hold an additional CAT or SOFTT-W. 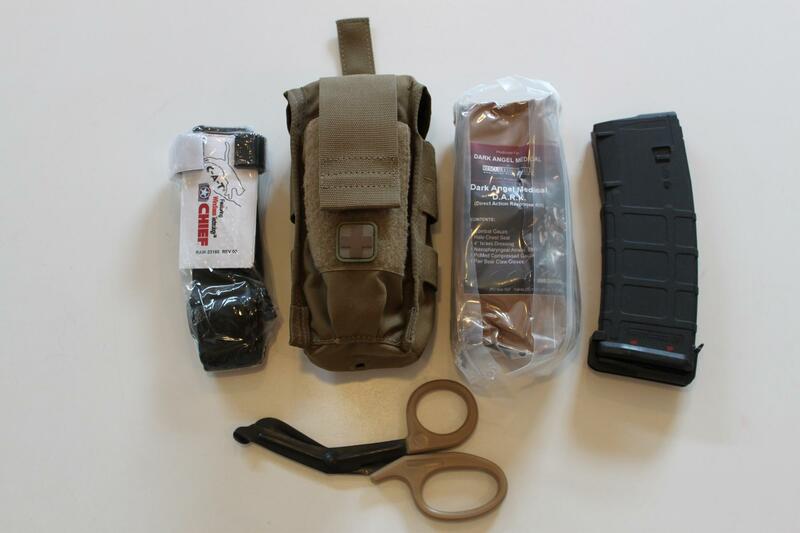 This is the kit you should carry when you can’t carry your standard-size D.A.R.K. 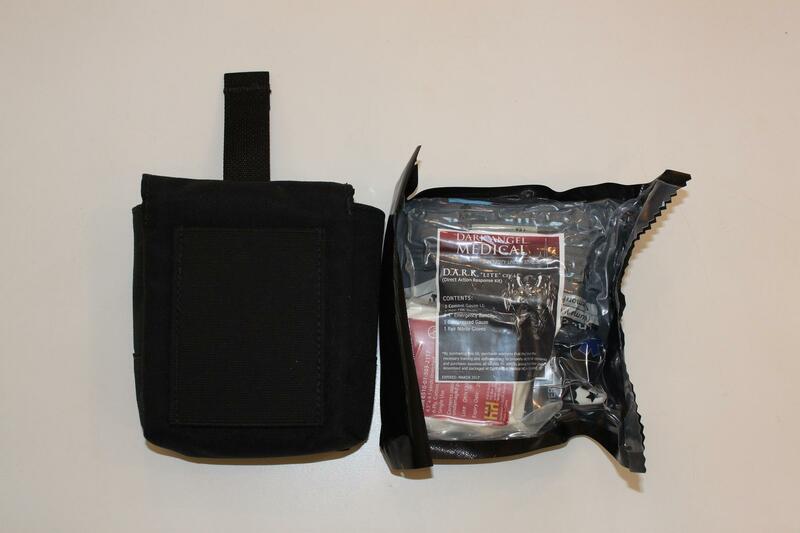 or carry it as a “back-up” kit! The Pocket DARK measures 4″x4″x1″ and weights just 7 ounces. It is packaged in a vacuum-sealed 4 mil thick back that doubles as a field-expedient occlusive dressing. SWAT-T Tourniquet: Easily and quickly applied as a tourniquet or pressure wrap, it can also be an expedient sling or rib binding. QuikClot Combat Gauze LE: QuikClot Combat Gauze LE (Black Package) Z-folded, super absorbent 12′ length of gauze with the added benefit of a proven hemostatic agent built-in in order to achieve clotting in the event of a massive hemorrhage. Available in Black, Coyote and MultiCam.